Each week we are going to give a little shoutout to a particular member who we notice really putting in the effort to implement our strategies, support one another, and take the brave steps to growing their businesses! 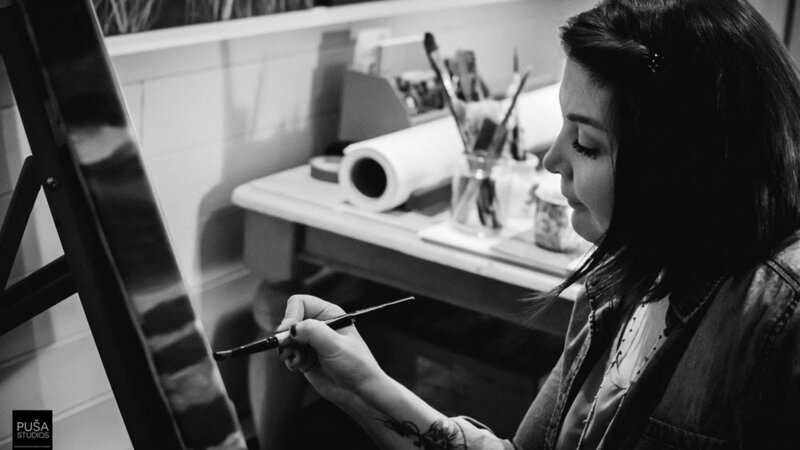 "Allie, Lindsay and everyone in this group has encouraged me to find my authentic style, up my IG game, create a collection and revamp my website. I’m so thankful for this awakening!" This feedback is exactly how we want The Studio Source to function! We're here to provide the structure and set a tone of genuine encouragement, but it's through your own hard work paired with the support of your fellow Members that really makes the awakening change happen! Allison has also caught our attention recently through a stylistic change in her work, evident in her instagram feed. We loved one of her latest paintings so much that we even featured it in our instagram account! Big things are happening for Allison and we are so proud of her commitment to grow! Follow Allison's inspiring instagram feed here!